"Would I like to step in and assist Parker in a coaching role at Fulham? Well, every manager has his view of the game and who he wants to work with but I am always open to go and help someone with my ability and vision of the game. I am doing my badges now and it's an ambition of mine to break into that world but why not? If someone asked me, of course!" 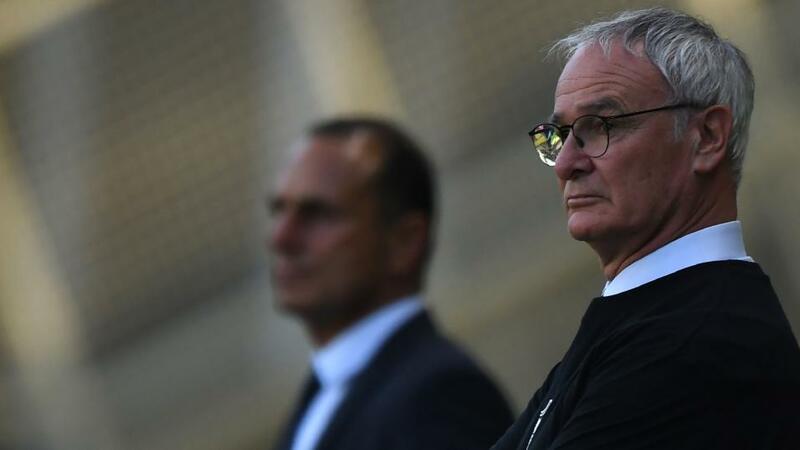 Ten points from safety with 10 games to play, Fulham are in a desperate position and Claudio Ranieri has paid the price, sacked on Thursday afternoon. Of course, when it goes wrong like this the one who always gets the blame is the coach. I do have some sympathy for Ranieri. He took the team when they were in a difficult situation, inherited Slavisa Jokanovic's team and only managed to get Ryan Babel in during the January Transfer Window. That's clearly not been enough to save them. I watched a bit of Fulham this season and the reality is that they are leaking too many goals to survive. That is never good and I'm sure that did not please Ranieri, as we all know how Italian managers prize defensive stability. It won't surprise anyone to learn that I'm not optimistic about their chances of survival. 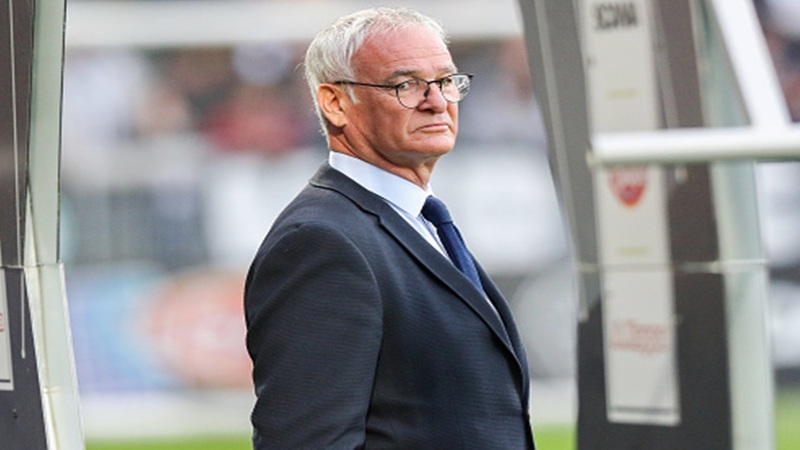 They are 10 points adrift of safety and the fixture list brings Chelsea this weekend, a trip to Leicester before Liverpool and Manchester City come to Craven Cottage. Any new coach is going to be in the same situation as Ranieri. He won't be able to bring anyone new in, the club will still be 10 points off safety and he won't have his choice of players to work with. 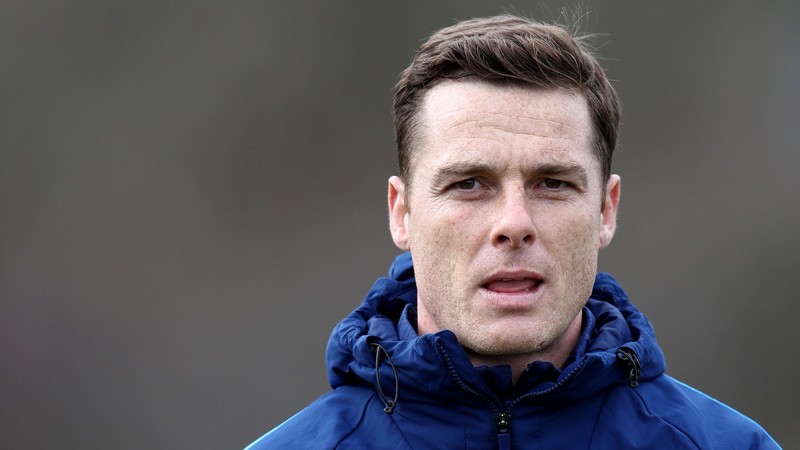 At the moment it looks like Scott Parker will be the man to lead Fulham through the final 10 Premier League fixtures. Scott is an old team-mate of mine at Fulham and my memory of him is that was always really professional whether that was on the training ground or before, during and after a game. To appoint Parker, who is already at the club, for the final stretch of games is better than getting someone in from outside the club. For me it is the least-worst scenario. Of course it's a massive long shot but it's not impossible for Fulham to save themselves. Look at Manchester United in the top four battle for an example! If Parker could do that he would automatically get the job. And if Scott got the job that would make me happy because it would mean another ex-player has been given a chance to manage a team, even in an extreme situation like this. Sometimes it's just about being in the right place at the right time. That's unfortunate for a manager like Ranieri, but this is a chance for Parker - and other ex-players like him - to show us what he's got and take his first step into the managerial side of the game. I hope to get into the game on the coaching/managerial side so I'm happy that we have Parker at Fulham, Solskjaer at United. Would I like to step in and assist Parker in a coaching role at Fulham? Well, every manager has his view of the game and who he wants to work with but I am always open to go and help someone with my ability and vision of the game. I am doing my badges now and it's an ambition of mine to break into that world but why not? If someone asked me, of course! If Fulham are relegated he would have a good platform to work with the team. The Championship is competitive but it's not the Premier League and it would be a good place for him to develop. Hopefully he would be able to retain young talents like Ryan Sessegnon and Tom Cairney as they would be key to Fulham's chances of coming back up. That's a big doubt though as other clubs will be keen to go after their services. It was an uninspired performance from my old club last night. Ok, they were playing away at Chelsea, who are a good team, but these are the games when the best teams can pull something out to get the point or three points they need. And the best sides do not let mistakes like last night's happen. Until the point when Kieran Trippier rolled the ball past Hugo Lloris there was just one goal in it and there was every chance of a comeback to force either a draw or win. But that own goal absolutely killed Tottenham. It is the sort of howler that makes players angry and disappointed, and it's difficult to come back from that sort of result. Now we need to ask: Is the squad deep enough? Can they handle all the games and stay fresh? However good they are, players do get tired even though they're doing something they love. If they aren't fresh mentally and physically that is when the mistakes come in. There's not much time before the next fixture, too, with in-form Arsenal at Wembley on Saturday lunchtime. It's a huge fixture anyway but it's absolutely massive now given the tight top four battle. Spurs will be up for it but I'm not sure that'll be enough. You can get through on adrenalin for some of the game but not the whole 90 minutes. If they score early then maybe it will be a different story but in a tight and tactical game fatigue can take its toll. Arsenal are a dangerous side right now. They won 5-1 last night and those front players have serious pace and if Spurs' defence is physically and mentally drained they will have problems. Spurs' attack was lacklustre at Stamford Bridge and I hope Harry Kane has not been rushed back too soon as that can lead to more injuries. As we say in football, the team starts with him, and he needs to stay fit for the run-in. Ultimately, I think the game will end with honours even which is not much good for either side. Tottenham know Wembley well and that is a minor advantage and they are a good enough side to not lose three on the spin. I know we haven't seen a draw from Spurs in the Premier League this season but there's a first time for everything! The title looks gone now and Tottenham are wobbling a little in their bid for a top four but they still have a points advantage over Arsenal, United and Chelsea and if they can stay fit and not suffer any more injuries then I think they can handle the pressure over these final 10 fixtures. It's so competitive up there, though, and it's going to be great to see them battle for a Champions League place. Luck will certainly play its part as the teams are pretty evenly matched. I like Romelu Lukaku and he's earned a place in the first XI. He's worked hard to be in the first team, you could see it in his game at Selhurst Park last night. The two goals he scored, the runs he made, the passion in his performance all showed to me that he had a place in the team. I would like to see him start against Southampton because he has earned it. And don't make the mistake of thinking he has to play central. In modern football many teams play with three upfront and that trio can switch positions and confuse the opposition. 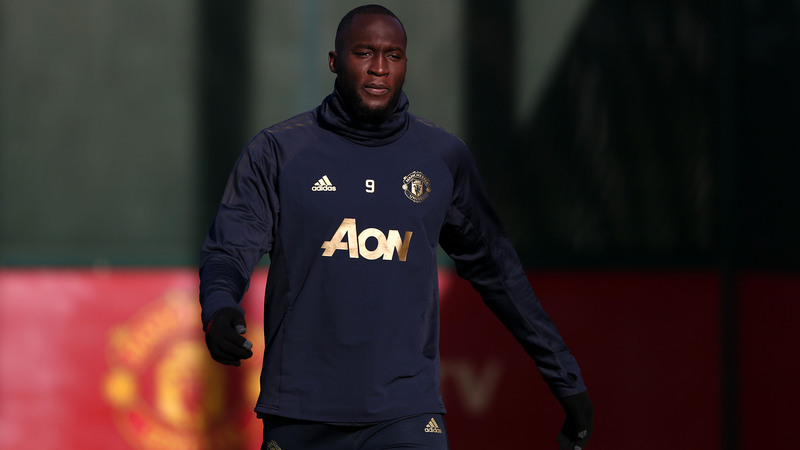 Lukaku is capable of using the space really well when he drifts left or right and has made a few assists from those positions. The ball Lukaku played for Lingard against Liverpool, there aren't many players who can make that pass. It was like watching Xavi or Iniesta! Lukaku is not one-dimensional like some people assume. Like everyone I was surprised to see Kepa's reaction to being substituted at the end of the League Cup final. I am sympathetic to him as it's not standard to bring off a goalkeeper. But what happened next was very public and it wasn't right to react like Kepa did, waving his arms and refusing to come off. Ordinarily these conversations between players and managers happen throughout the game. If the change was planned I would be shocked if Kepa didn't know about it before, but if they didn't speak about it and Kepa was caught by surprise then it is a different situation. That would explain his reaction anyway! Sarri flexed his managerial muscles last night and benched Kepa but he may have given himself a problem! Caballero had a solid game last night and it will be interesting to see who starts the next game. Players do have power these days, but they have had it in the past and they will have it in the future. It's a good thing as it means you can give your opinion to your manager and team-mates and make yourself heard. But it doesn't not need to be done in public. Have private conversations and speak like men, swear at each other if you like, fight if you want to! But just keep it in the dressing room and training ground. Win £100k by picking six correct scores!